Laurent Perrier USA offered five scholarships to the Wine Scholar Guild’s Online Champagne Master-Level Study Program to Guild of Sommeliers members. Selection was based upon essays written on designing a four-course menu incorporating Laurent Perrier champagnes. The Wine Scholar Guild, world leader in French wine education, announces the launch of a comprehensive distance-learning study and certificate program on the wines of Champagne. This is an in-depth course of study conducted at the master-level and is designed for the wine trade. 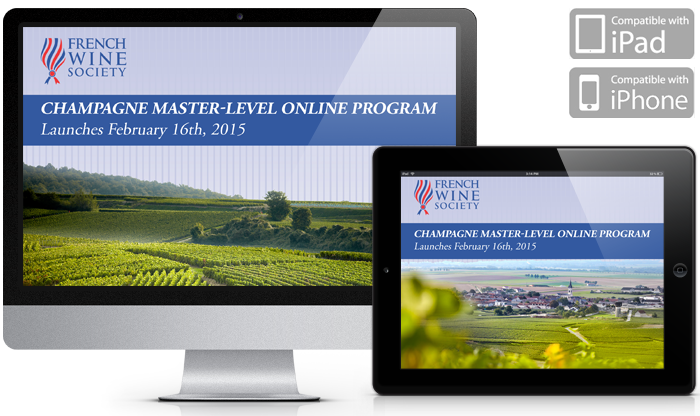 For the very first time, a dream team of experts from all over the world is providing a unique and dynamic learning experience on the wines of Champagne via web-based teaching technology. The program is scheduled to launch February 2015! Registration is now open! Distance learning coupled with live classroom & tasting! Explore Champagne from the comfort of your own office or home. This is Champagne as you’ve never seen it presented! Join a participating WSG program provider for review and tutored tasting in a live classroom environment! Details coming soon. Why study the wines of Champagne? Champagne is unique in the world of bubbles. Its combination of soil, climate and grapes cannot be duplicated anywhere else on earth. It is the benchmark in the world of sparkling wine. 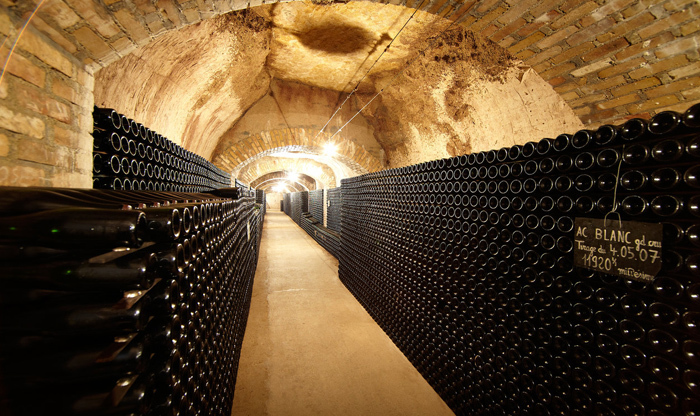 Champagne is one of the world’s most precious, stylized wine products; its production process merits serious study. Both steeped in tradition and ultra-modern, Champagne is a timeless classic. Its history is the stuff of legends; this program dispels the myths. 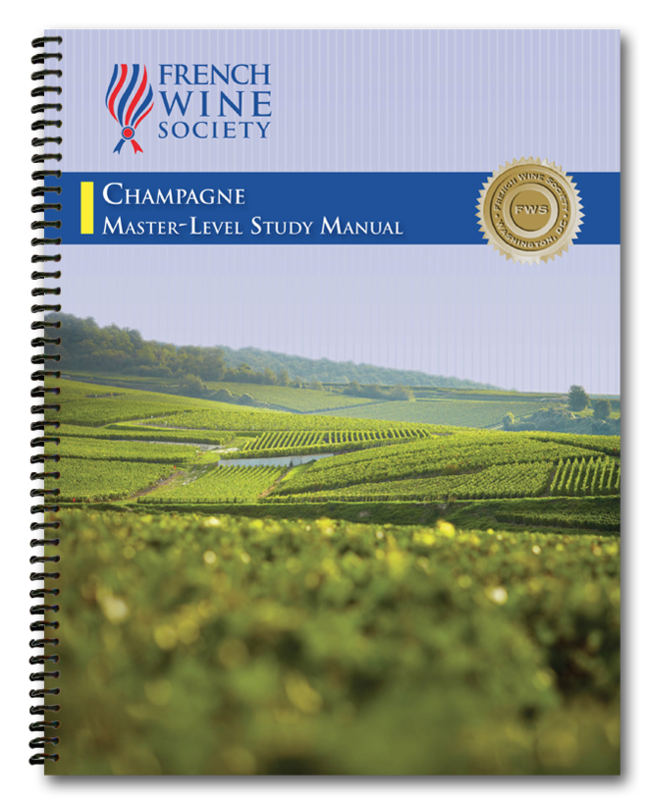 This master-level program provides detailed information on the Champagne’s climate, grapes and viticultural practices. It explores the region’s geology, topography and soils. 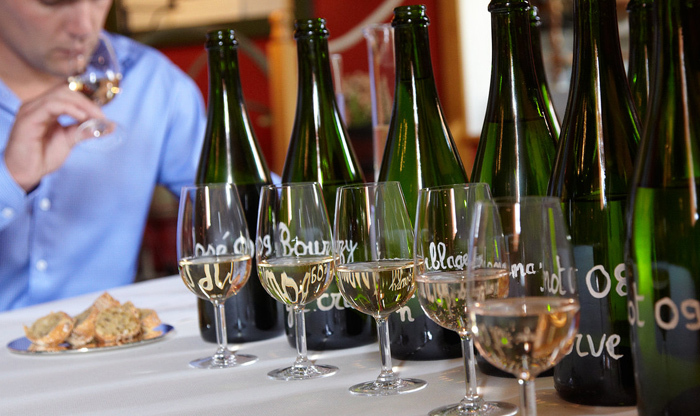 You’ll learn Champagne from the ground up and in-depth! 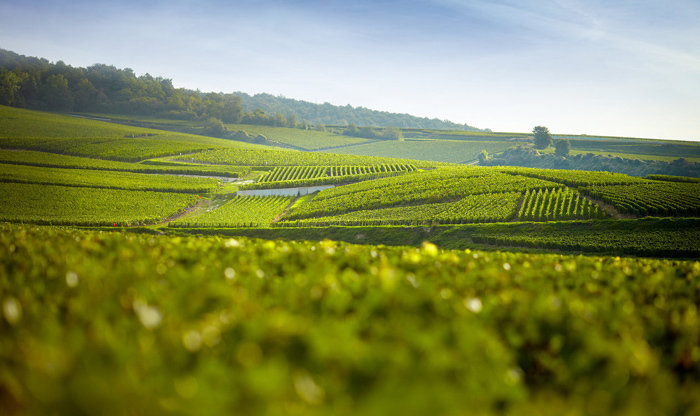 Delve deeply into Champagne’s rich history and winemaking process. Gain insider perspective on the sub-regions, villages, grand marques and small independent grower-producers. Learn about Champagne’s dynamic wine trade. No product is more adaptable! From non-vintage bottlings and tête de cuvées to market-driven dosage levels, champagne tailors itself to its clientele. 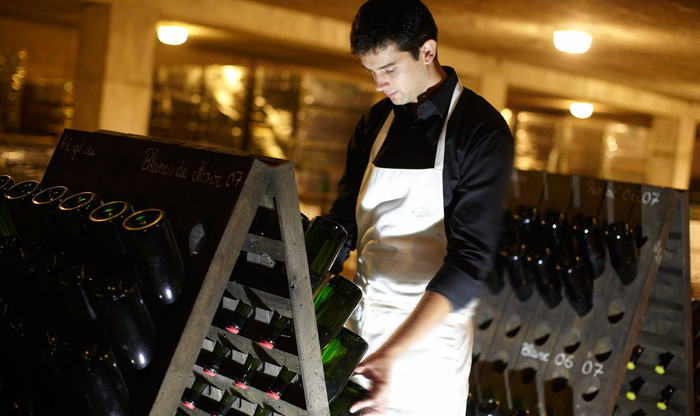 Find out who’s who while exploring champagne culture, trends, fads and traditions. There is an optional, proctored exam whose passing score validates mastery of the course content. This exam may be administered online for those with appropriate access to a computer outfitted with webcam and microphone. The exam is composed of 50 multiple-choice questions, four short-answer essays as well as a map identification exercise. The Champagne Master-Level Certificate will be conferred to those individuals who sit the exam and achieve a score of 75 or higher.